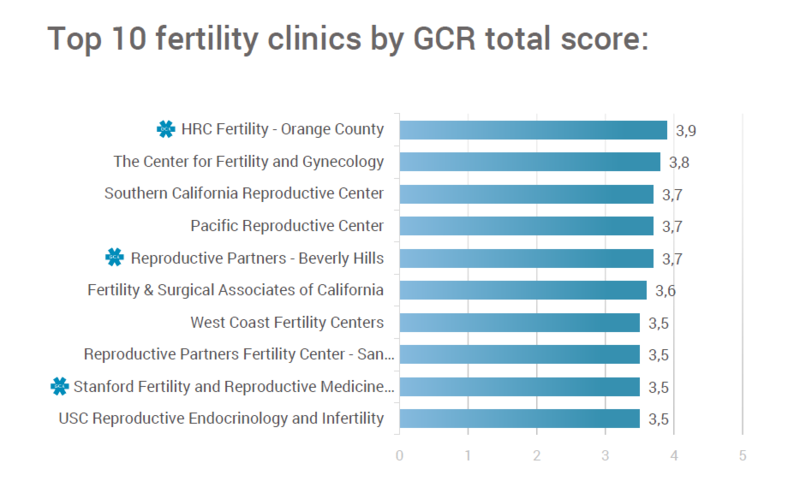 According to the GCR’s latest analysis of fertility clinics in the California, HRC Fertility – Orange County from Newport Beach ranks as the leading clinic in the California, when it comes to overall international clinic reputation. A total of 222 fertility clinics were included in the study. The average GCR fertility clinic quality score was 2.22, demonstrating the huge range of rising healthcare standards available in the country. Read our new blog post – Europe: Top 10 Fertility Clinics in 2018. The GCR – Global Clinic Rating, the leading provider of healthcare clinic ratings worldwide, aggregated and analyzed fertility clinics throughout California during 2016 including fertility clinics in Los Angeles, Newport Beach, Tarzana, Beverly Hills and San Diego. After decades of growth, the Californian state faces a protracted decline in the number of children, amounting to losses of 187,771 (3.6%) children under age 10 between 2000 and 2010, with another 101,187 (2.0%) loss expected in the present decade, according to Lucile Packard Foundation for Children’s Health. This stems from a falling birth rate that is now below replacement level in California (1.94), declining since 2000 in every major racial/ethnic group. HRC Fertility – Orange County ranked #1 with a GCR Score of 3.9, and ranks 5th place from 1,544 fertility clinics monitored worldwide, followed by the The Center for Fertility and Gynecology (3.8) and the Southern California Reproductive Center (3.7). It is important to mention that all of this three clinics came out almost top (4.8-5.0) for their level of fertility facilities available. The GCR clinic star symbol represents that the clinic has been officially verified as meeting or being above international medical clinic standards and uses the data provided by the GCR to constantly improve the clinic for their patients. Three clinics in California have achieved the GCR international accredited clinic status. Download the GCR’s full Top 10 fertility clinics report for California to discover the names of the other fertility clinics that made it to the Top 10 fertility clinic list in California and to find some brief statistics of these clinics. Hello Kathy, the whole GCR team crosses fingers for you. We wish you all the best.